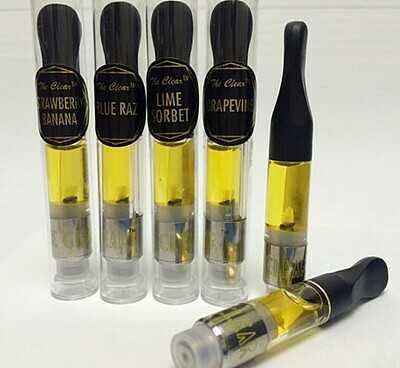 The new Clear Carts™ are custom-designed to effectively vaporize undiluted Clear™ Concentrate. Testing at approximately 90% THC, these carts deliver the best vaping experience on the market. The new cartridges are made from quartz glass, stainless steel, and Japanese organic cotton. A patent-pending center post diffuser and maximized air ports ensure long, full hits. The innovative wickless design features a vertical coil for efficient heating, as well as a one-way anti-leak valve to combat the main sources of cartridge failure.